Dan Servodidio Offers up his best bets for Saturday's action in the NCAA Men's College Basketball Tournament. Although Kentucky’s 35-point win over 15-seed Abilene Christian may not show it, the Wildcats have a large void to fill without PJ Washington manning the middle. Washington is likely to miss his second straight game on Saturday, and Kentucky will have to figure out how to defend the Terriers’ Cameron Jackson in the post. That may be the least of their worries, though. Wofford lives and dies by the three-pointer - which is a point of weakness in Kentucky’s defense. Coach Cal’s squad has struggled to defend the perimeter all year as it’s allowed 35% of opposing points via the three-pointer, the 62nd-worst mark in the country. 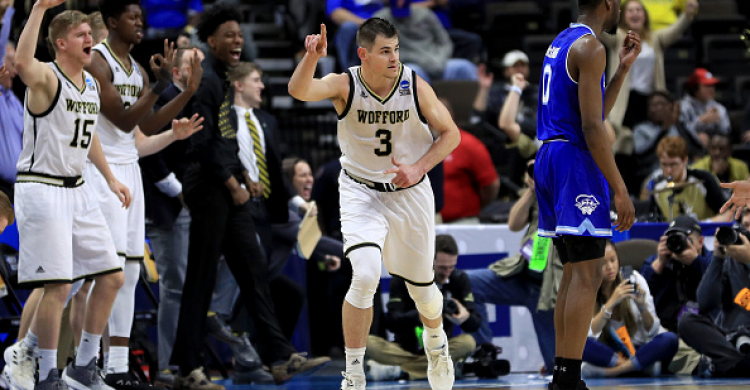 On the other side, Wofford - anchored by three-point specialist Fletcher Magee - scores 40% of its points from deep, the 15th-best rate in all of college basketball this year. We could see an outright upset on Saturday, but Wofford should be able to keep this one within five points no matter the outcome. Baylor squeaked out a victory against Syracuse in the first round, but it’s overmatched at every position in this matchup with top-seeded Gonzaga. The Zags’ frontcourt combo of Brandon Clarke and Rui Hachimura will be a handful on both ends - which should force the Bears into a zone defense. Yet, that only plays into the strengths of Zach Norvell and Josh Perkins from the perimeter as both can break the 2-3 zone with spot-up three-point shooting and playmaking abilities to still find their big men down low. According to KenPom, Gonzaga boasts the top-ranked offense in the country and is 16th in defensive efficiency. Baylor can go through scoreless spells at times and this one could easily turn into a blowout in the first half. It’s only a matter of the Bears covering the 13-point spread, which is unlikely to happen as the Zags are clicking on all cylinders following their first-round 38-point win over Fairleigh Dickinson.